Kobus Kotzé’s passionate love for capturing landscapes is very much the essence of his inspiration. He’s sensitive to the relationship between man and nature. 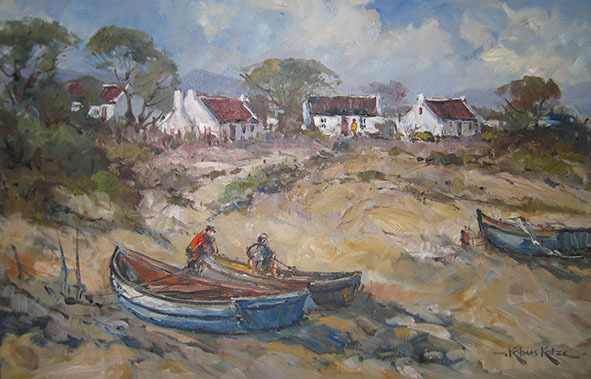 Kobus studied agriculture, and on his farm in the Eastern-Cape, he recorded a barrage of ideas during the day, and spends the evenings in his studio expressing it on canvas. He held his first solo exhibition in 1971 and many other exhibitions followed. 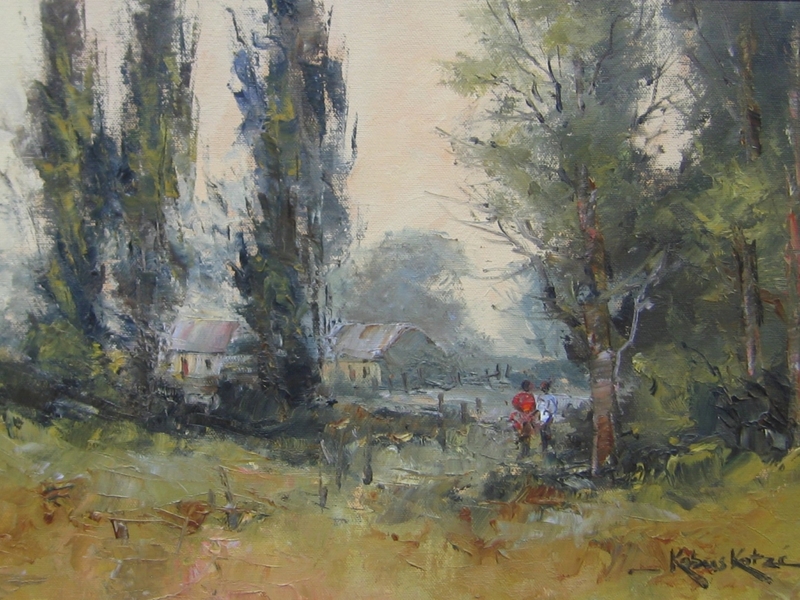 In 1990 Kobus opened the Kobus Kotzé Art Gallery in Aliwal North, and become a full time artist. Artists mix and combine colors differently, and the individual artist mixes color in a number of different ways within his own work. It is essentially a matter of discipline, informed, desire, and love of color. 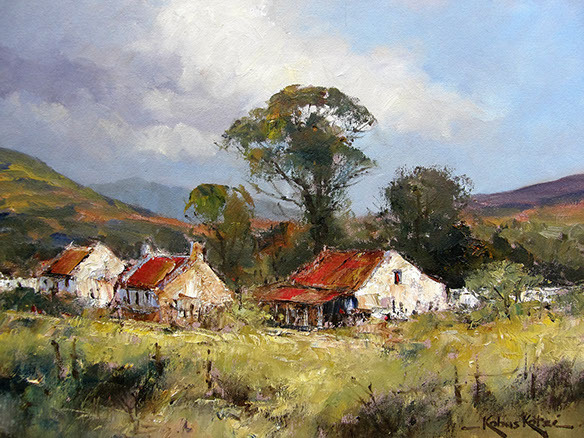 Kobus has been painting since 1967 and with all the years of experience, he developed a unique sense of mixing and using colors. One of the exceptional qualities in his work is his ability to make the sky look exiting, real and radiant. He is an artist who uses his camera to capture landscapes, trees and cities. In his studio he combines the photographs with his emotions and traditions. These paintings capture the way he views the world.